Incredible! I’m off to share with my readers. This is a game changer! Let me know where you share it, Johnna, and let me know how it goes if you try it! you are an angel! Thank you so much for taking the time to write this up! I’ve been thinking of little else in the meantime! I think I’ll try my first batch by halfing the recipe… Hope that will work ok! Will definitely post results! Rosie, I make half-sized recipes all the time. It will definitely work! The only problem you can have is when your sugar syrup has so little volume that you can’t get a good reading on the candy thermometer (notice how I use a skinny pan for mine?). Your instructions are so confusing. First you say reduce the aqua faba but then you say put it in the mixer bowl. Then you put the water and sugar in a saucepan and heat and then you talk about a pan. Can you edit this recipe to be clearer? Also palm sugar destroys orangutans. I’m sorry you found my instructions confusing. Under the best of circumstances, making Italian Meringue Buttercream is not for the faint of heart. There is no palm sugar in this recipe. I do call for 100% palm oil shortening, but I do mention that there are alternatives. I realize this might not be an option everywhere, but in my local stores I am able to find organic palm oil shortening that is sourced entirely from certified-sustainable growers. It’s not about being faint hearted. Your instructions are muddled. One of the best vegan IMBC recipes I’ve come across. Definitely not muddled. If one doesn’t know how a meringue based butter cream is made, then brush up your basics before attempting to read or make this recipe. 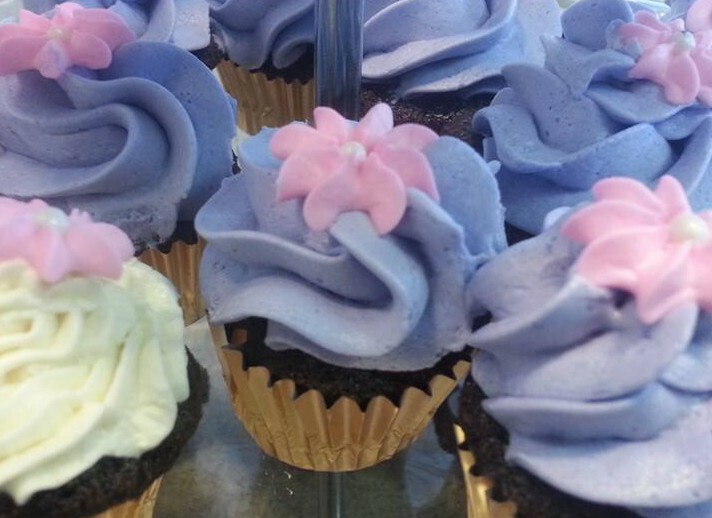 If you’ve ever made Italian Meringue Buttercream these instructions are very good. I agree these are really good instructions. Reducing the AF is in the text as an optimal step. Va the directions obviously start with whichever version of AF you have (reduced or non reduced). I made this over the weekend and it was awesome. Thank you so much for sharing this. Thank you! Your recipe is perfectly clear and concise! And, well, amazing! I’m glad you like it! Give it a try and let us know how it goes! Thank you for all of the testing and perfecting of your buttercream frosting recipe! The detail of your recipe should spare many of us buttercream disasters. Thank you for sharing it! Thanks, Beth! Let me know how it goes when you try it. I second the sentiment that if you’ve made Italian Meringue Buttercream, the instructions are crystal clear! Thanks for the recipe, very excited to try it! Would it be possible to make this with just a handheld mixer? I can make aquafaba meringue fine this way and would adding a pinch of salt be fine to the recipe? In theory it should work, but you’ll be standing and holding that mixer for a *long* time! There will also be times when you will wish you had at least one more hand. 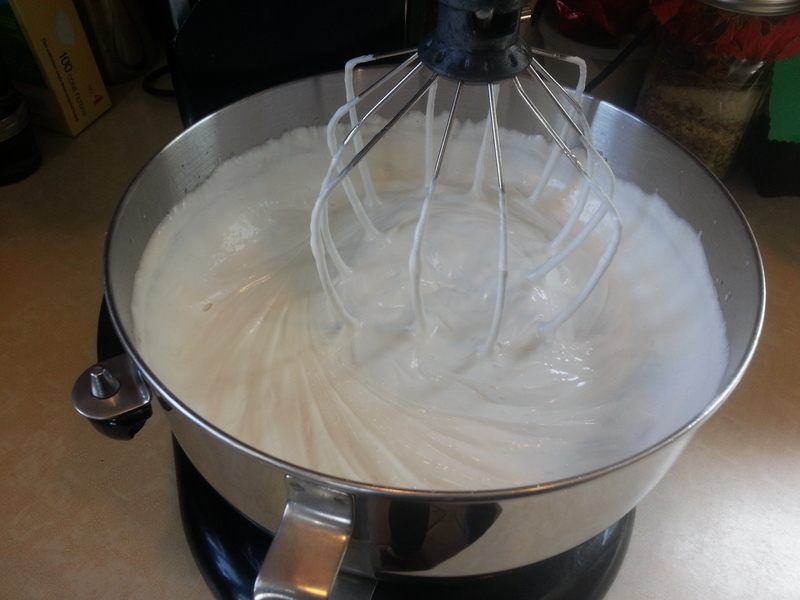 The mixer needs to be running while you add the sugar syrup, and then you need to keep mixing, mixing, mixing until the meringue comes down to room temperature, which can take quite a while (usually I walk out of the room and do something else while I’m waiting). Then you need to toss the hunks of butter/shortening/whatever in, one by one, also with the mixer still running, and I often use both hands just for the tossing/cutting part. I’ve also found that the paddle attachment helps the temperature come down much faster than the whisk…I forgot to swap them one time and I wondered why it took so long! So, I think my answer is that I don’t think you’ll be happy if you try. I don’t think the failure will be in the mixer not working, but in you not being able to be in two places at once and not having enough hands to do everything at once. Definitely get a new one, Christine! I don’t think I could live without my stand mixer. Due to a strange set of circumstances, I have two. I thought the first one was broken, and I replaced it with another, bigger, refurbished one (I got a great deal, thankfully)…but then when I investigated further, the old one still worked! In retrospect I had probably caused the motor to overheat, and there’s must be some sort of safety that shuts it off when that happens. At first I thought that I should give one of them away, but then it started being clear that when I go on a cooking mission, I can easily use two of them at once. I also have one with a huge wide bowl, and one with a somewhat smaller, tall & skinny bowl, so I get to pick and choose depending on what I’m doing. Heaven! Good luck with your brother’s birthday cake! 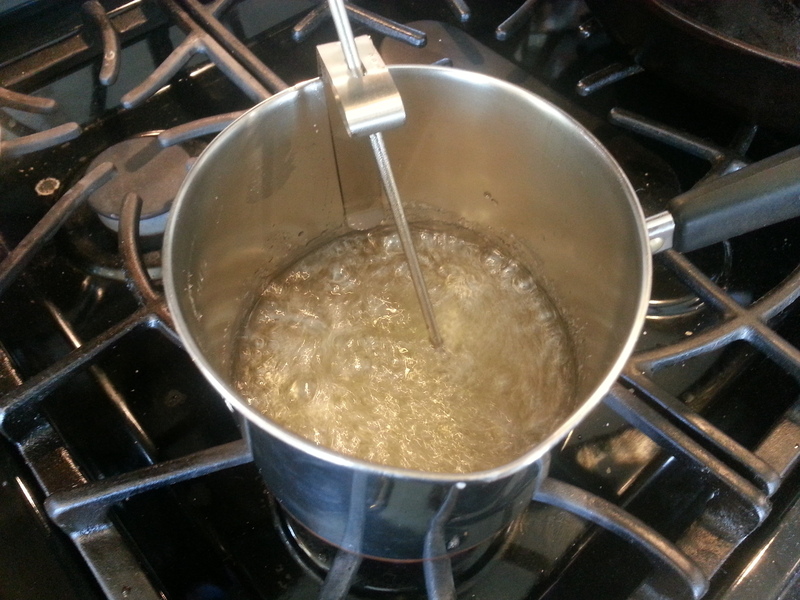 Can you reccomend a candy thermometer? Which is the one you use in the picture? Can not wait to try this!! Sorry for the delay! I was away from my computer for a few days. It has a feature that I totally love, which I didn’t even know about when I bought it. This one starts beeping (and also flashing!) 3 degrees before the goal temperature, and then it changes to a different kind of beep when it reaches the temperature that you set. This is really great, because with my old thermometer, I used to set it 3 minutes shy of the goal, so that I could get ready with whatever the next step of my recipe was going to be…but this one does it for me! 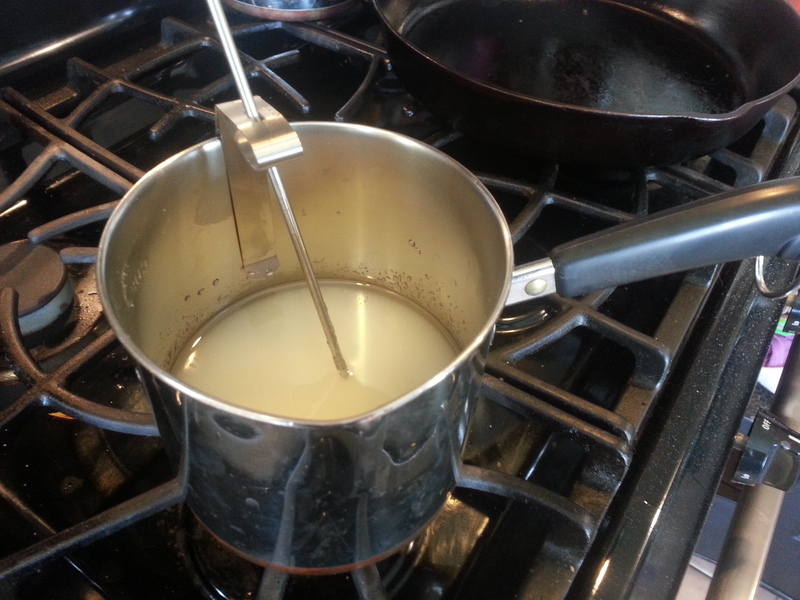 Thanks, lindajulien, not only for the recipe but for the great tip on this great candy thermometer! Worth every penny! Reblogged this on My Vegan Heart Blog. Finally made this! Glorious! I halved the recipe, which worked fine. Used about 11 oz of fat, but would reduce to about 8-9 next time for a little more sweetness and less greasy mouthfeel. But overall, a total hit! I love this light texture that can be piled higher than a typical (super sweet) buttercream! Topping on lemon cupcakes and covering with coconut tomorrow! Yeah, I make half recipes all the time because the full recipe makes so much. As long as you can get an accurate reading on your candy thermometer, you’re golden. My original version called for a full 24 ounces of palm shortening, but after making this recipe a few times, I completely agree with you about cutting back. I really like the light fluffiness of the un-reduced aqua faba buttercream, too. It’s so unique and wonderful. I’ve been wanting to pair lemon and coconut with this, too, so I think that’s a great idea! Hey, its a great idea and i really like your ricipe. But would´nt it be much easier to just add granulated sugar to the aquafaba? With normal eggs you have to heat it up because of salmonella, but this can´t happen with that so does it make any difference? In this case, the heated sugar has a purpose other than just killing possible pathogens in egg whites (though it will do that as well). By heating the sugar syrup to the “hard ball” stage, it will solidify as it cools, which stabilizes the meringue. If you don’t do this, it will surely deflate when you add the fat. So yes, it will make a HUGE difference! I am really interested in trying this recipe. Has anyone frozen and defrosted a batch of this version? If so how did it hold up? However, (this is important!) make sure you let the buttercream return to room temperature before you try to do anything with it, then paddle it a bit to restore the texture. I would love to know if any other fats have been used successfully. Palm oil use is destroying rain forests. Otherwise, I love the idea of making and using this buttercream frosting. Certified-sustainable palm oil shortening is readily available in my area, and with a bit of research, you may discover that it is available in your area as well. Some people have had moderate but not stellar success with Earth Balance, but of course that is out for you, since they don’t yet use sustainable palm oil. I look forward to hearing back about your experiments with alternate fats. Just say no to Palm Oil. I don’t even believe in sustainable palm oil. Want to guess why? Some other animal suffers to make it. We just haven’t hard which ones are suffering yet. No crop can be grown without altering the environment around it. Palm oil produces more gallons of oil per acre than any other crop by a factor of *two*. Every area of land that is used for farming would have otherwise been used as a habitat for various animals, and palm oil can do it while re-purposing less than half of the land. But really, this isn’t the place to debate these things. If you don’t want to use palm oil, then you should not. I am very keen to try this recipe but have been looking to source palm oil locally and aren’t sure I will find any. Do you think cocoanut oil would be a good substitute. I don’t think coconut oil by itself would work, because it’s so hard at cool room temperatures, and then suddenly liquid when it gets warmer…but emulsions are a different beast than any of their ingredients alone, so I don’t fully know. I’m not sure where you’re located, but I was (pleasantly) surprised to find sustainably-harvested, organic palm oil shortening in almost every grocery store in my area. Until I went looking for it, I didn’t know it was there. I am in New Zealand .I have looked today and have my thermometer but no luck with the palm oil, Tried our organics shop which sells a lot of unusual ingredients and also Moor Wilson a huge outlet for all types of wonderful food and our local grocery store. No luck yet but I will keep looking . You could certainly try other butter replacement options. You want something that is solid but pliable at room temperature. Coconut oil is probably a problem because it is so hard at cool room temps and then suddenly son liquid when it gets a little warmer. Some types of dairy-free margarine might work, but you should look for the ones that come in a stick rather than a tub, because they have a lower water content. Hood luck! First of all I’m very excited to try as I’ve been tossing to deal with raw eggs.. Though it’s heated to a certain temperature . Anyway may I check 2 things, the sugar has to heat till hardball stage ? And is it possible I use butter instead of Palm solid? Will it’s hold its shape? Yes, heat the sugar to hard ball stage. I like to do 248F (120C), which is on the higher end of hard ball. I have yet not tried it with butter, but I’m pretty sure it would work. Your butter should be room temperature, but not too soft — when it’s the right temperature, if you pick up the stick and try to bend it, it should bend into an arc rather than squishing. Made this recipe yesterday (I halved the recipe for 24 cupcakes). Your instructions were PERFECT! I was so pleased with the outcome. By far the most delicious buttercream I’ve ever tasted! THANK YOU! I added fresh strawberry puree to the final product. It turned out so well, so delicious! I’m glad to hear it! I only tried adding strawberry puree recently and I think it’s my new favorite. The white chocolate flavor is awesome and there’s no greasy mouthfeel, just the fluffy, dreamy frosting of my dreams! Thanks for sharing this! I’m sure it’s delicious. I should also add that cocoa butter can be found in a “deodorized” version, which has had the chocolate-y flavor removed. That means that cocoa butter shortening should be an option whether or not chocolate flavor is your goal. I hope Nicole will elaborate on what she did, but I would make the cocoa butter shortening according to the directions, and then aim for the same amount by weight as called for in the recipe. As it stands, this recipe was a direct translation of an egg-and-butter recipe, and I used the same weight of palm shortening as butter called for in the original. i’m beyond thankful for this recipe. you’re going to make one highly allergic, yet lover of cakes, very happy! I was wondering if flavoring this with cocoa powder or melted chocolate would ruin the meringue? I’ve made buttercreams and meringues the traditional way but I haven’t ventured into aqua faba territory yet – still reading/learning. Thanks! If there’s one thing I firmly believe, it’s that *everyone* deserves really good cake! You can make chocolate buttercream by adding 2-3 ounces (by weight) of melted-and-cooled chocolate to each cup of buttercream. Melt the chocolate, then let it cool to near room temperature before mixing it in. It might not be as dark as you’re expecting, but if you add too much chocolate, the buttercream will become super-stiff and hard to pipe. awesome!!!! I just can’t wait! I’ve made every birthday cake for the kids since birth and I was hoping to have a really good tasting AND looking cake for him by birthday time. but not one bakery, so far, can cater to his needs. but now i’m not worried since, as you so wisely said, “*everyone* deserves really good cake”! you are amazing. seriously. so I just realized that I can’t make it with palm oil shortening due to the coconut oil. my son is allergic. however, Crisco’s ingredients work well for him. (I haven’t explored all shortenings, but since he’s allergic to corn and on the verge of allergic to flax I need to avoid those too). you may not have used Crisco, but theoretically it would work? Wait…your son is allergic to coconut, or palm oil? There is no coconut in 100% palm oil shortening. I have seen a brand of shortening that is a blend of palm and coconut oil, but I have never used it and I don’t know how well it works in this recipe. What I use is 100% palm oil shortening made by a company called Spectrum Organics (there’s a link to it in the blog post above). If you are in the US, I know that you can order it from Amazon, though I have found that it’s much less expensive in my local grocery stores. Whole Foods carries it if you have those stores anywhere near you, but where I live, many regular stores carry it in their organic/natural foods sections. While Crisco may work so far as holding the emulsion, I think you will be *very* unhappy with the flavor and “mouthfeel” of it. This recipe calls for a huge amount of fat, and I think that much Crisco will just seem “yucky.” Palm oil shortening has a much more pleasant flavor and mouthfeel. I have also heard from a friend who is a chef that Fleischmann’s Unsalted margarine (only the unsalted variety is dairy-free) works well in egg-based meringue buttercreams. I haven’t tried it myself, but you may have success if the ingredients work for you. If you read the other comments, you’ll see that some people have had success with half Earth Balance Buttery Sticks and half Earth Balance Shortening, and some have had success making their own shortening out of cocoa butter and a liquid oil. Cocoa butter is available in both unrefined (i.e. chocolate-tasting) and “deodorized” versions. I hope you can find something that works! sorry, that clarifies it. he has an allergy to coconut but also has an almost allergy to flax (the earth balance sticks had flax seed oil, so I was trying to avoid those). but the other brands you mentioned are key. I never realized that fleischmann’s unsalted is dairy free. good deal – i’m going to check our grocery stores since they’ve had a pretty extensive selection with other products. so sorry for continuous questions, i’m so very thankful to have this literally laid out (for me – or at least it feels like it!) 🙂 thanks again. No problem! But keep in mind that Palm Oil is *not* coconut oil! I used 1/2 Earth Balance “Vegan Buttery Sticks” and 1/2 Earth Balance “Shortening Sticks” and it worked beautifully. I halved the recipe, so used 6oz of each. Thanks for sharing this, Darla! The more options that people hammer out for the fats, the better, since no everyone wants to use the same ingredients and not everyone can find the same ingredients in their local stores. Sounds great! I should also add that I have some Earth Balance soy-free sticks in my fridge, and I can’t wait to try them. I’m not sure when I’ll get the chance, but I’m optimistic. Great recipe! Is the resulting buttercream firm enough to be used in between layers of a large cake? How do you recommend stiffening the BC even further? I would recommend reducing the aqua faba by simmering it until it reaches half of its original volume. Cool it down again before using it. If you do that, you shouldn’t have any trouble. Good luck! This recipe was amazing!! I found it easy to follow. I don’t have a standing mixer and my candy thermometer was too long for the pot, so it was challenging (and hilarious) to stand there with one hand holding the immersion blender and the other holding the thermometer 🙂 But it worked out beautifully!! I used Earth Balance butter sticks and added lemon juice and zest for flavoring. Thank you!! I know you mention that it keeps well in the fridge, but can you tell me what the best estimated time would be before it goes bad? Thanks so much. Sorry for the delay! I was working on my daughter’s birthday cake (see https://geekycakes.com/2015/08/14/monster-book-of-monsters/), and then I’ve been on vacation (I deserve it, I think). For my own personal use, I have successfully kept IMBC in the fridge for weeks, though you should really freeze it if you expect to keep it that long. The only thing you really need to watch out for is that it’s very prone to picking up off-flavors, so make sure you keep it in an air-tight container, and that you don’t have any stinky past-due leftovers stored in the same fridge! This is a great recipe, and I’ve been delighted to make it three times over the past three weeks! And good news for anyone who (like me) finds themselves without the whip attachment for their blender. If you can put the aqua faba into a blender (thickened in advance, if possible), and get some air into it, then proceed with the rest of the recipe despite not being able to get the firm peaks first. 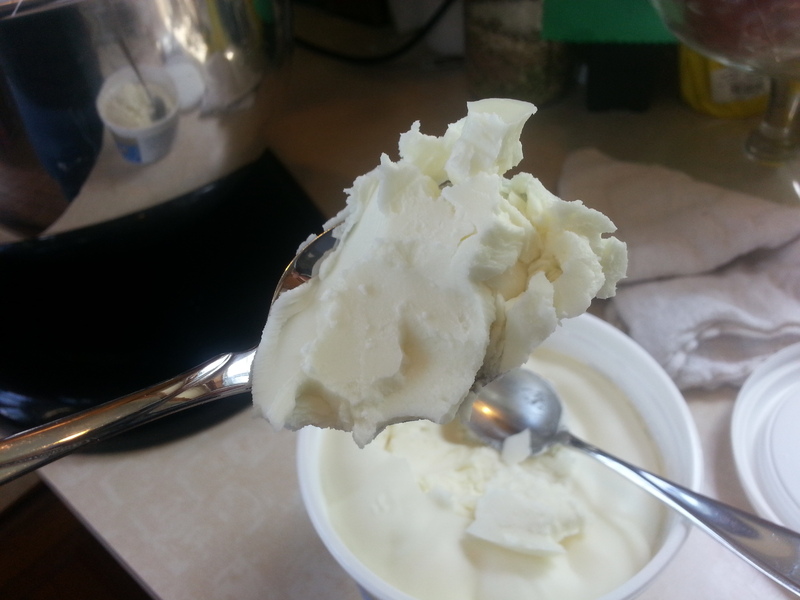 Then cream the margarine and/or shortening, and add the foamy aqua faba/sugar syrup mixture (after totally cooling it). You will get a soft, but usable icing that even can pipe very soft decorations. (Soft shell or pearl borders, writing on a cake, etc.) Icing will be very “broken” before it makes it through the beating process to firm up and emulsify and become pretty manageable. 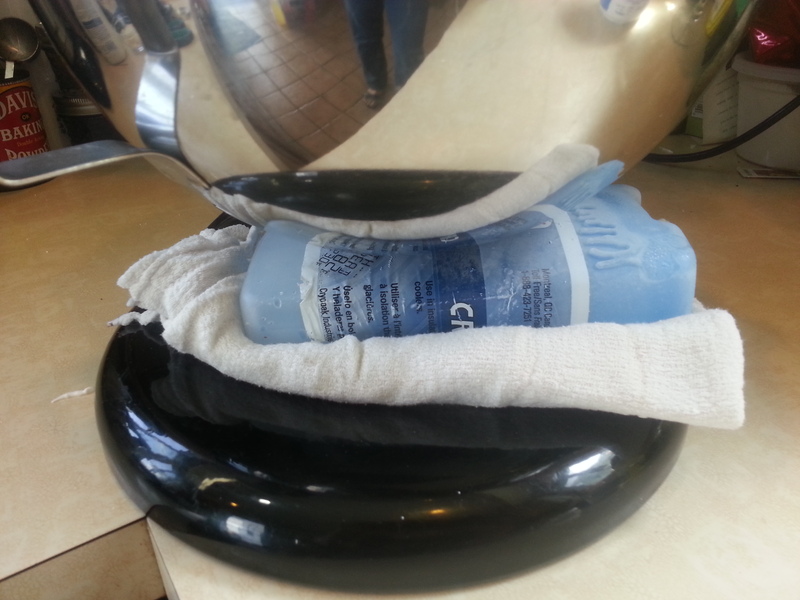 If you can refrigerate or briefly freeze your cake as you ice it, all the better. I’m glad you were able to get a usable icing with this technique! I think I really do need to recommend stiff peaks and the classic technique, however! Hello! How well does this recipe hold up to higher temperatures? (80-100F) Thank you! I’m wondering if you could use half shortening and half butter? If so, any idea how to split it – maybe half and half? If dairy works for you, then just use all butter, and it will work fine (and be delicious). Awesome and thanks for the quick response! Hi, could this be made with half the amount of fat? Seems like such a lot. Thank you. I tend to use 20 ounces, not 24 ounces, but you don’t really want to use much less than that, or it won’t be a buttercream. Keep in mind that this is a *huge* recipe — it makes 8 cups of buttercream. Of course the precise amount depends on your technique, but it’s a good place to start. One more question how far in advance can this be made if being used soley for a cake filling? This will keep for a really, really long time, and it freezes exceptionally well. You can certainly keep it in the fridge for a week in advance, or in the freezer for months. Keep it well-sealed, because it is prone to picking up off-flavors from the fridge. The truth is that I’ve found a tub of IMBC in the back of my fridge *weeks* after making it, and it’s been completely fine. Does this firm up when refrigerated like SMBC does? I’m looking for a vegan alternative to my typical SMBC that will work for covering with fondant. Yes, it firms up in the fridge, and you can definitely cover it with fondant. You can use IMBC and SMBC interchangeably for most purposes, and it’s really about your own personal preference. I’m really excited about this recipe! I have an odd question and I’m wondering if you might have an idea about whether substituting some chèvre for part of the fat would work? I was thinking of a mix of chèvre, ghee, and shortening so it has a cream cheese frosting type of flavour. What do you think? I was also wondering if you have tried, or have heard of any success using another type of sweetener in the syrup – either made with honey, xylitol, ect besides sugar? If you want to add chèvre, I would make the buttercream first, then add it in at the end. With some searching, you should find some instructions online about adding cream cheese to IMBC, and the technique should be the same. I don’t know about using other sweeteners, though I did a bit of research about it recently. You do need a hard-ball-stage sugar syrup to stabilize the meringue, and I don’t know whether any of those other sweeteners can do the deed. If you find out, please let me know! I never comment on anything, and I use online sources all the time, but this is OUTSTANDING. As a former Martha type baker, I miss certain foods now that we have a limited diet. 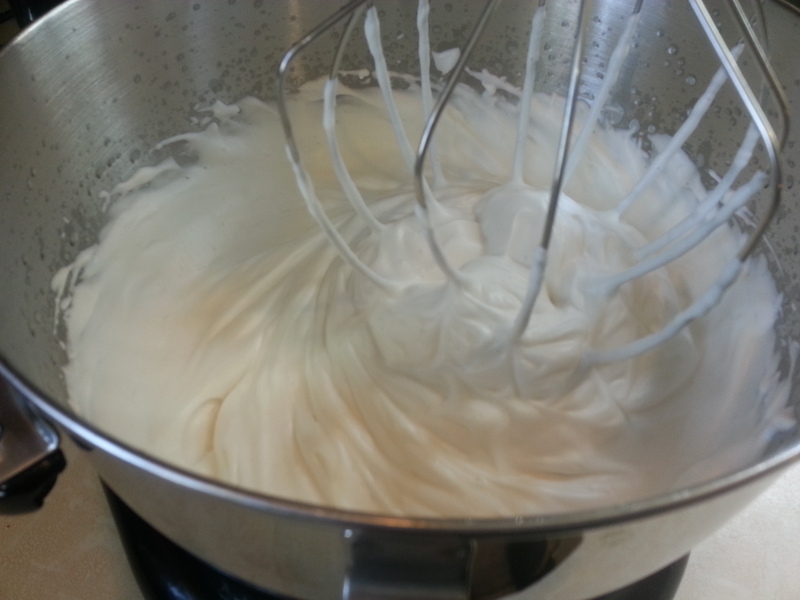 Aquafaba blows my mind in general. How did I not think of that? Anyway, I made several versions of this and these specific instructions worked the best for IMBC that mirrors the egg version. My final best was to reduce the AF on the stove by 1/2. Keep other ingredients EXACT. I added a tiny splash of vanilla with no problem. For those who tolerate butter, made a batch under these instructions and it was great, no changes needed. We don’t eat a lot of sugar in my house and tried to cut the sugar by 1/2 in a batch. You have to compensate by adding more butter and it was gross. I ended up on my final cake, keeping the IMBC extra light and used a thin layer VS big globs…perfect. It was easier to leave this as is, and cut the sugar in the cake instead. Responding to criticism, cooked buttercreams are not for the novice or faint at heart. Even seasoned bakers will have a random bad batch..Don’t be discouraged, this is a solid, tested, allergy/limited alternative. My SAD guests loved it!!!! Thanks for this awesome recipe. I was so excited to try this. I’ve never eaten eggs in my life, so I don’t know what an IMBC should taste like. I followed directions perfectly, but I used butter for the fat. When I started adding the butter, after about six-8 chunks (I kept these chunks about 1/2 Tablespoon size), the meringue deflated and it was very curdled. Basically butter whipping around liquid. I held out hope, and continued to whip it with the paddle and it did eventually homogenize like you said. But it looked and tasted just like whipped butter. 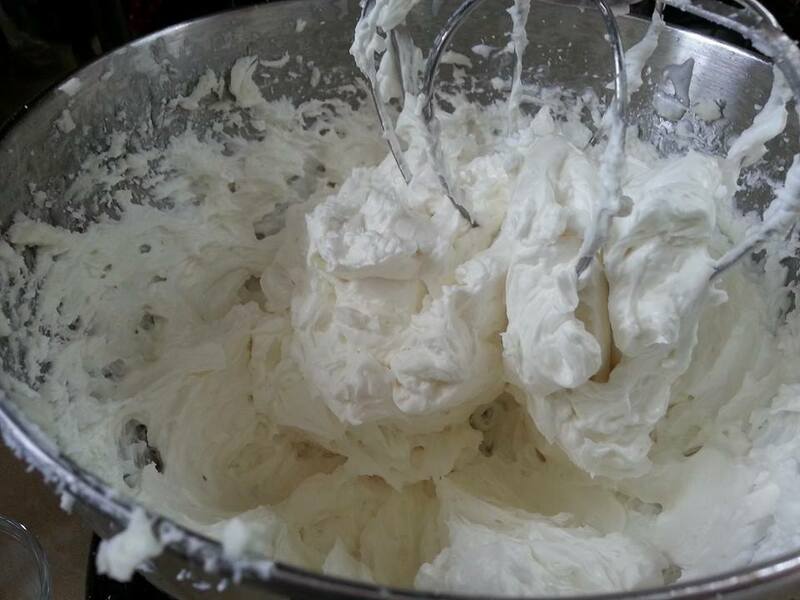 I made another batch of meringue without the sugar syrup, and added the previous butter mix to that. Pretty much the same thing happened. I added cooled and melted chocolate to it, and that helped lighten it a bit, and it ended up being very creamy, smooth, and yummy. I’m wondering, though, if it is supposed to be lighter, and if the butter is supposed to cream and suspend more in the meringue. I didn’t reduce the aquafaba, and maybe that would help. If any of this sounds like I did something wrong, please let me know. Thanks so much for your time!! I should add that it didn’t look nearly as fluffy as your picture of your finished IMBC. Which makes me think something went eschew! Reduce the aquafaba by 1/2. Makes a difference. OK. I did it. Made it with the shortening I had on hand – Crisco! Also used some aquafaba that was partially from pintos and partially from chickpeas. I made a half batch, and found that maybe because there was some salt (hence, flavoring) in my aquafaba, my frosting wasn’t sweet enough. Added probably 3 cups of powdered sugar, and vanilla, AND about 3-4 tablespoons of red raspberry jelly to become sweet and flavorful enough. I’ve never made Italian buttercream before, and I’m still not exactly sure what to think about it! LOL. I did find that I had to add a little water to my sugar syrup a couple of times because it sort of seized up on the stove, and never got exactly up to 248 degrees. It is very fluffy, and pretty tasty. It’s kind of greasy… but I think I’m just more used to the flavor profile of regular buttercream which is heavier on the sugar. Overall, a great recipe! I may try it again. IF someone has tried adding cocoa or melted chocolate to it, I’d love to hear about it. Perhaps a chocolate version might mask any leftover been flavoring better!